You’ve heard all about the dangers of being overweight and how exercise can help, but just can’t seem to get motivated, because it seems so strenuous! The good news is that even the small amount of exercise can make a big difference. Physical activity contributes to weight loss, especially when it is combined with calorie reduction. Use the following tips from the surgeon general’s call to action to prevent and decrease overweight and obesity and you’ll be on your way to losing weight. 1. You can get active! While exercising may seem intimidating at first, you don’t need special skills or training to be physically active. Keep in mind the following pointers. Initiate physical activity slowly and increase the intensity gradually (e.g. start with a 10-minute walk three times a week and work your way up to 30 minutes of brisk walking or some other form of moderate activity five times a week). If it’s easier, split your activity into several short periods (e.g. 10 minutes three times a day). 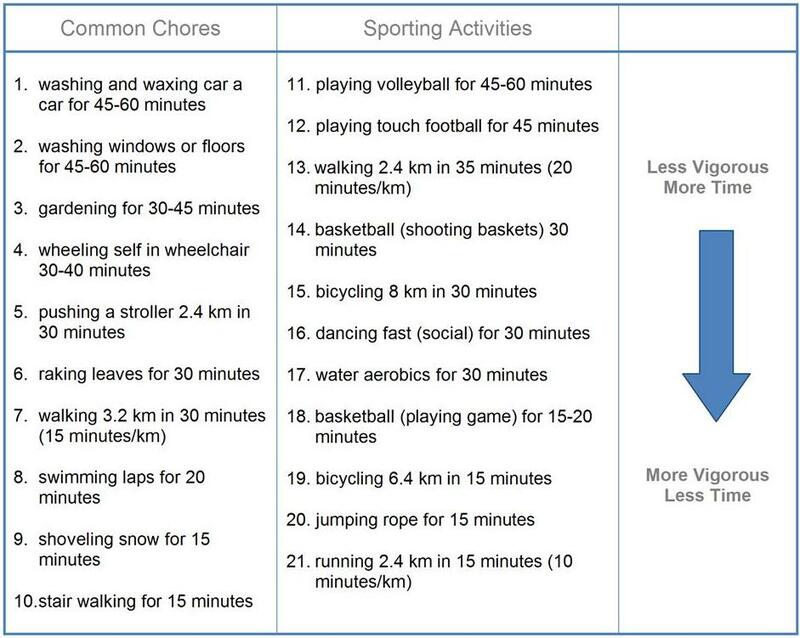 Select activities that you enjoy and can fit into your daily life. Ask for support from friends and family and support the people in your life who are trying to be physically active. Remember that many forms of physical activity can be social, allowing you to converse and spend time with family and friends or to develop new relationships. Consult with your health care provider before starting a vigorous exercise program if you have ever had heart trouble or high blood pressure; if you suffer from chest pains, dizziness/fainting or arthritis; or if you are over the age of 40 (men) or 50 (women). 2. Burn calories for weight loss. For weight maintenance, your intake of calories must equal your energy output. A difference of one 340 grams soda (150 calories) or 30 minutes of brisk walking most days can add or subtract approximately 4.5 kilograms to your weight each year. Adding a moderate amounts of physical activity to your routine five or more times a week uses 150 calories of energy on each day of activity, which can be equivalent to approximately 2.3 kilograms in 6 months or 4.5 kilograms in 1 year.